Not only financial troubles. Now Coach Franz Gerber is said to be leaving to face new challanges elsewhere. Look at President Corny Littmann's face at today's press conference. There is no better way to reflect the current mood. See the Match Reports section for the full story. Mark this day in your calendars: 6. December 2003. Freihalten für die Weihnachtsfeier: 6. Dezember 2003. Yesterday Germany celebrated the 40th anniversary of the Bundesliga. Lightly dressed women represented the original teams, the respective jerseys painted on their naked breasts. A die-hard female St. Pauli supporter was also spotted in the crowd, making the "save Sankt Pauli" statement and indirectly announcing Tuesday's city match against HSV (A). Today is the big day. FC St. Pauli's first home game of the new season. More than 18,000 tickets were sold for the game against Münster, that's a record number for any German Regional League. Another record: 11,000 - the number of season tickets sold. Quite a few Bundesliga clubs sold less season tickets than St. Pauli. The club survived fincancial as well as sportive hardships, the community showed incredible support and loyalty, and now it is pay back time. Let the show begin. We want to see a fight for the win. Fight! BrownHeartsUnited will be there, watching, and praying. Put this date into your agenda: 12. July 2003. FC Bayern Munich will visit Hamburg for a benefit match in support of FC St. Pauli. The match will take place at Millerntor stadium. We politely request that Celtic Football Club, in the spirit of the Social Charter, come to the aid of legendary Hamburg side, F.C St. Pauli who have unfortunately been relegated to division 3 in Germany and are suffering financial hardship. St. Pauli fans regularly travel long distances across Europe to follow Celtic as comrades against racism and fascism in football. We ask Celtic F.C to organise a benefit match against St.Pauli either in Glasgow or Hamburg or even both venues. The BHU Team will meet at Kollaustrasse on Saturday, 31. 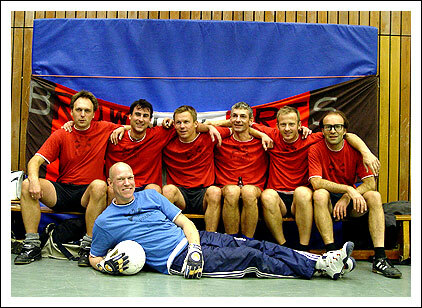 May, 10 AM sharp in order to participate in the official FC St. Pauli fan club tournament.